About the topic "180 degree rotation about the origin"
"180 degree rotation about the origin" is the stuff about rotating a figure 180 degrees either in the clockwise or counter-clockwise direction. When we rotate a figure of 180 degrees about the origin either in the clockwise or counterclockwise direction, each point of the given figure has to be changed from (x,y) to (-x,-y) and graph the rotated figure. To have better understanding on "180 degree rotation about the origin", let us look at some practice problems. 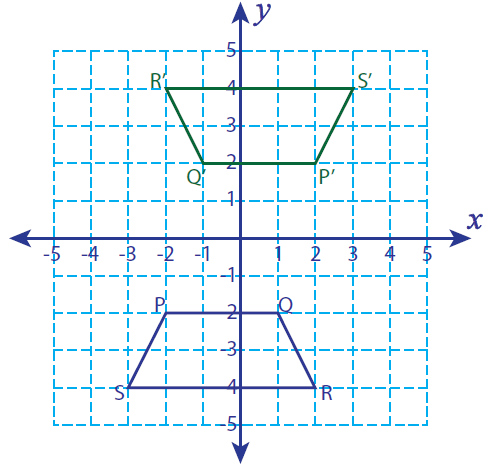 Let P (-2, -2), Q (1, -2) R (2, -4) and S (-3, -4) be the vertices of a four sided closed figure. 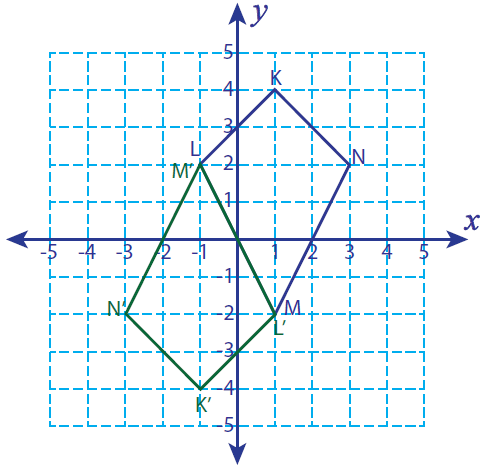 If this figure is rotated 180° about the origin, find the vertices of the rotated figure and graph. 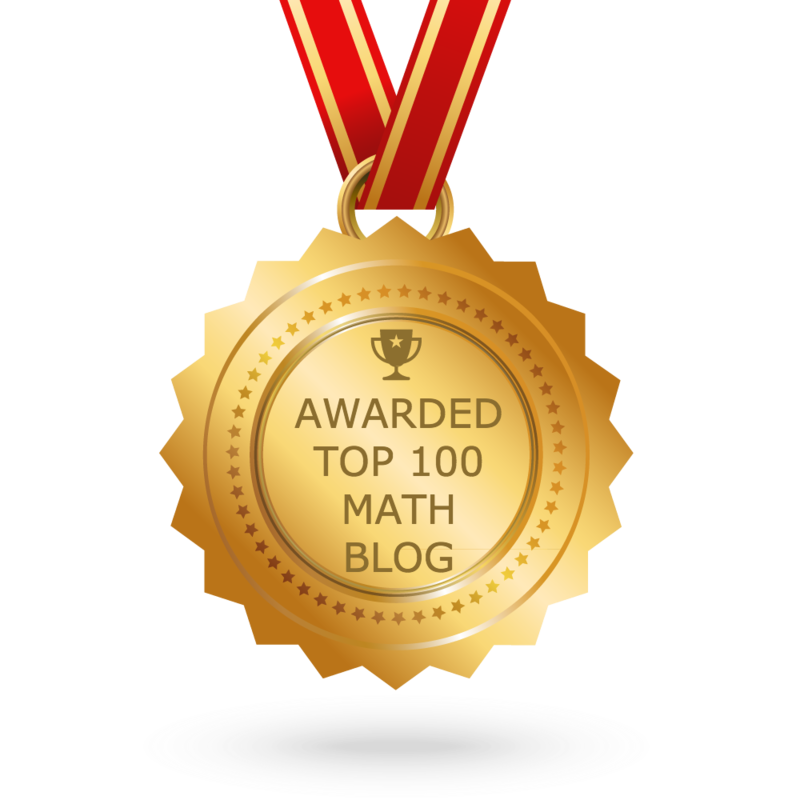 Let us look at the next problem on "180 degree rotation about the origin"
Let K (1, 4), L (-1, 2), M (1, -2) and N (3, 2) be the vertices of a four sided closed figure.If this figure is rotated 180° about the origin, find the vertices of the rotated figure and graph. 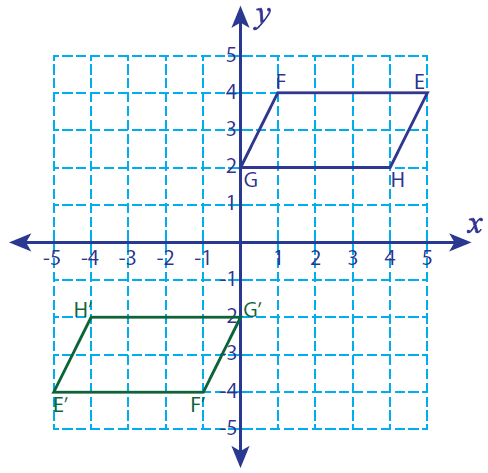 Let E (1, 5), F (1, 1), G (5, 1) and H (5, 5) be the vertices of a four sided closed figure.If the figure is rotated 180° about the origin, find the vertices of the rotated figure and graph. 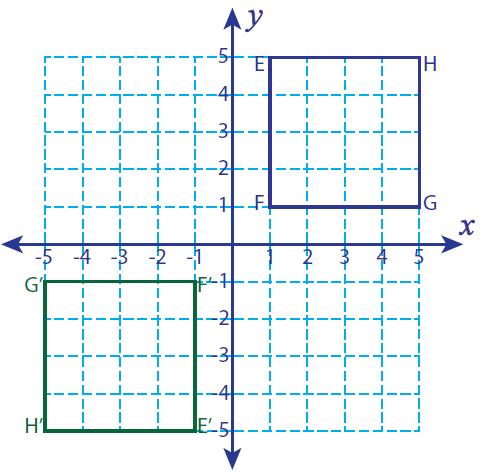 Let E (5, 4), F (1, 4), G (0, 2) and H (4, 2) be the vertices of a four sided closed figure.If the figure is rotated 180° about the origin, find the vertices of the rotated figure and graph. 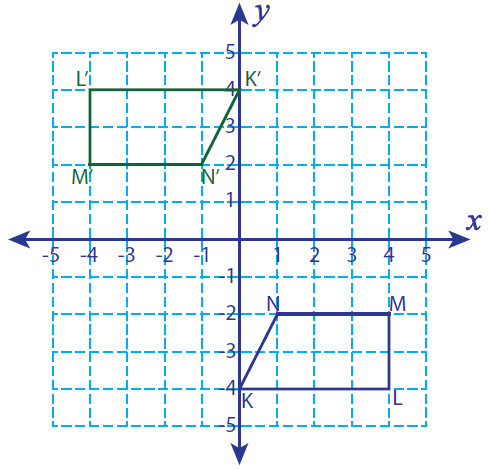 Let K (0, -4), L (4, -4), M (4, -2) and N (1, -2) be the vertices of a four sided closed figure.If this figure is rotated 180° about the origin, find the vertices of the rotated figure and graph. We hope that the students would have understood the stuff given on "180 degree rotation about the origin"